What is a Slab Foundation? Basically, what happens with the slab foundation is that gravel is laid on top of the land, this is topped with plastic, and then a wire grid is laid and concrete is poured above it, the actual home structure is built directly on this concrete slab. Sewer pipes and electrical conduit are usually embedded in the foundation. This is a very common building technique in other parts of the country and has been popular here for attached properties such as townhomes and condos. Over the last few years, there has been a significant increase of using this building method with detached properties, so it is important to understand what the advantages and disadvantages are of the option. There are many advantages to this type of foundation, first being that it is less expensive and therefore is a way to keep the home price affordable. The foundation is a much quicker install, and saves builders large sums of money as they don't need to build up a crawl space. Crawl spaces are usually brick on all sides, and need installation of access doors, piers, etc, before the actual structure can begin. The slab foundation is a great option for homeowners who want to avoid extra steps. If you are a homeowner who is struggling with ambulation and want to avoid extra stairs, then this is a godsend. Lastly, the slab is also a good option if you want to avoid moisture of mold build up in your foundation. Many crawl or basement properties are not well insulated and are prone to mold and mildew, you can avoid these worries with the concrete slab foundation. A disadvantage of the slab foundation is the risk of major cracks in the foundation or access to piping or electric if problems appear. If there's a break in a sewer pipe, you'll need to access that pipe through the concrete slab! Also, if your slab foundation ever gets cracked for any reason the repair could be quite costly. Additionally, there is some concern that termites have easier access to the property as the structure is closer to the ground. If you own a home that has a slab foundation make sure to get checked regularly for termites or have an ongoing contract for pest control (honestly, we all need to have this, termites are common in our area). Most new home builders in the Triangle area give structural warranties with slab built houses, these warranties are really helpful if problems occur and usually last for ten years from the date of purchase. Before you get freaked out about the possibility of the slab cracking remember that long periods of icy temperatures that cause these cracks are rare in this part of North Carolina. Our temperatures don't have a lot of freezes and so this helps deter from cracking, and it is probably the main reason slab foundations are built primarily in the warmer states. Slab foundations are the norm in Texas, Florida and many other warm states. Over the last few years, these slab foundations have become very popular in the Wake, Johnston and Harnett County new builds. As of today, 31% of the new homes sold this year in Wake County had a slab foundation, 41% of the new homes in Johnston County, and 44% of new home sales in Harnett also had slab foundations. Slab foundations are used in homes at all price points in the Triangle and surrounding areas. Seven hundred and seventy-two (772) single family detached properties were sold this year with a slab foundation in the Wake, Johnston and Harnett market. The detached home prices ranged from $110,990 to $780,00. This type of foundation has always been pretty common in townhomes and condos in our area, and this year the average price of attached living options with slab foundations ranged in price from $138,400 to a high of $938,457! Now you just have to figure out if this is the right option for your lifestyle. Ask questions, look for structural home warranties and know that this is definitely a common building option in the Triangle and surrounding area. 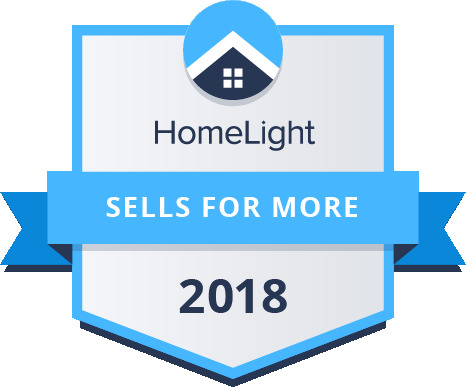 The following statistics were arrived at by reviewing information taken from Triangle Multiple Listing Service as of July 9, 2017, and speak to sales in 2017 only. If you want additional information about common building practices in our area, please talk to your Triangle Trusted Realty agent. We're here to help.